Armor Up Your Intimidator UTV With These 4 Accessories | Intimidator Inc. Racing through rough trails can take its toll on your side-by-side. The dings, dents, and scratches can really add up. To cut down on maintenance and upkeep costs, it’s a good idea to look into accessories that will protect your UTV from the start. Here are 4 accessories you can add to armor up your Intimidator UTV. Full-cab enclosures are great for those who use their Intimidator vehicles all year long. Check out our Intimidator Full Crew Cab Enclosure. It gives all-weather protection and the best visibility in the industry. 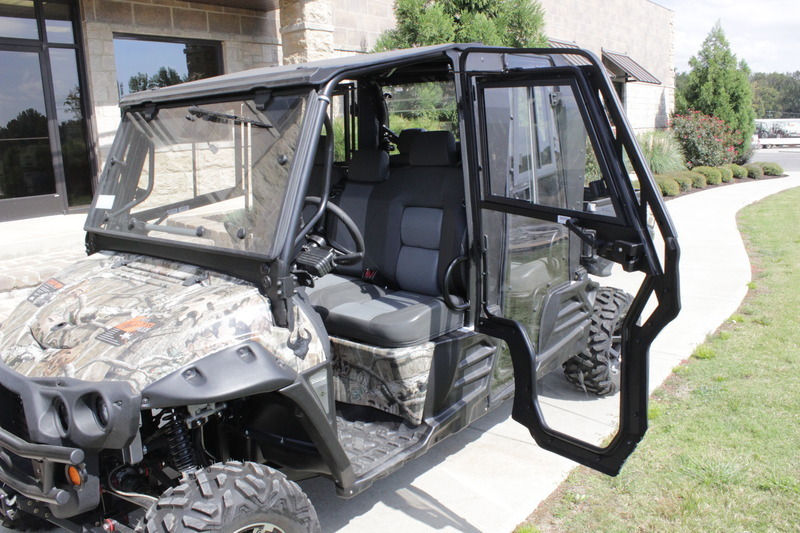 It includes a tilt out tempered safety glass front windshield which is great for ventilation. And when the weather begins to warm up again, the doors easily lift off of their hinges. A front bumper is a great way to add protection and customize your ride at the same time. 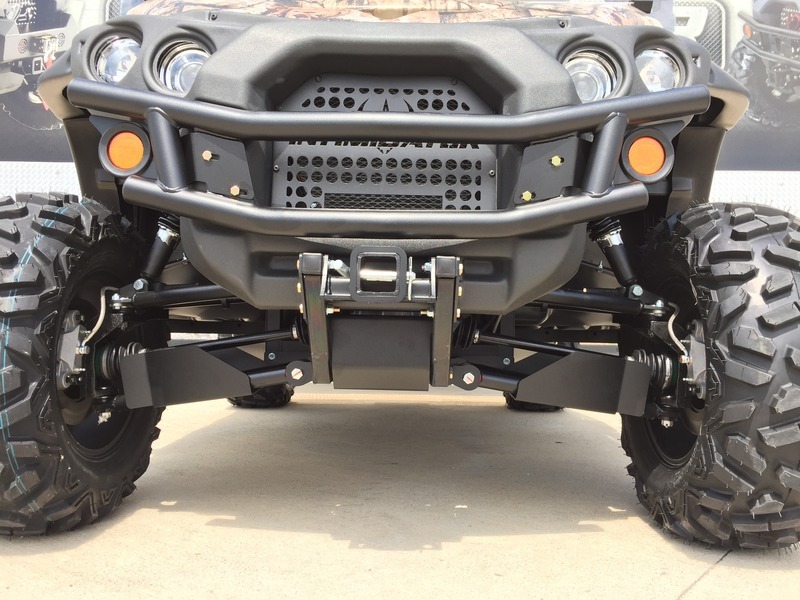 Take a look at Bad Dawg's Intimidator Heavy Duty Front Bumper - G1. This bumper is made with American Steel that is 1/8" thick and requires absolutely no drilling to fit. And if needed, a winch (up to 3500 lbs) can be mounted inside the grill. Don’t forget to protect your rear end! 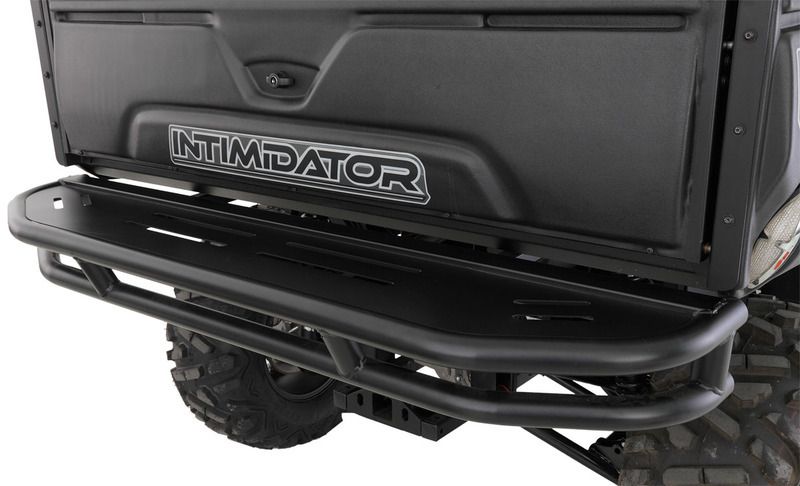 Whether you need protection from tree trunks or friends who like to follow too close, our Intimidator Rear Bumper is just what you need. It is made from solid steel and its tubular style looks great too. If you ride through extremely tough terrain, then there is no doubt that you have experienced a stick or two stuck in your front end. Now, you can protect your two front outer-side half shaft CV joints with Bad Dawg’s Aluminum guards. These lightweight and durable aluminum panels are just what you need to protect both the front and the back of each CV joint from dirt and debris. RIDE WITH CONFIDENCE. RIDE WITH INTIMIDATOR UTV. When you armor up your Intimidator, you are protecting both yourself and your investment. 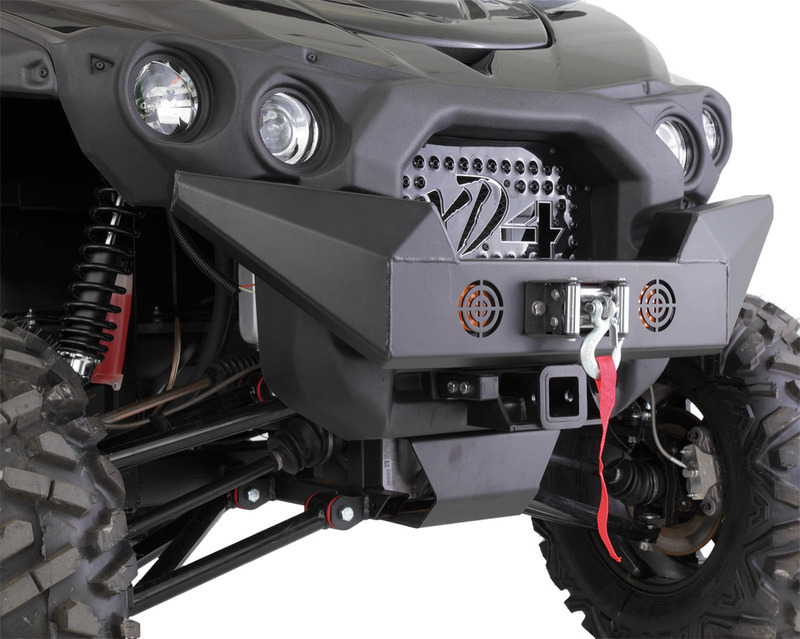 These types of UTV accessories also add strength, style, and better performance to your ride. Check out these accessories and more on our website or visit an Intimidator UTV Dealer near you. Use our DEALER LOCATOR by clicking here and typing in your zip.